…this book is a great reading for all women, but also for all those who need to find inspiration or purpose in their life, because it can help us understand how to do the best we can with what we have (and in truth this is our duty), and especially how to take courage. At the bottom of the article you’ll find suggested related readings, empowering the message and impact of this work. In this interesting and powerful biography of Anne Brontë, the least known and celebrated among the three sisters, we discover a woman who’s totally different from the one described by old books and by the harsh reviews of her novels – Agnes Grey and The Tenant of Wildfell Hall – but also by her older sister Charlotte. We get to know a young woman hungry for life, determined, and a writer gifted with a great deal of talent and especially great courage. Anne Brontë, who was always in poor health, showed to be strong and heroic in handling the TB that killed her, but above all exposing the mere truth about the condition of governesses in 19th Century England, and the real nature of some men, violent and cheating husbands she should have never spoken about (because a gentleman would’ve never behaved that way! Therefore the author reported the false) according to the critics (all men) and the right-thinking people of the time. Like her sisters, Anne had to write and publish under a nome de plume. Despite at the time writing was considered also a female profession, Charlotte, Emily, and Anne chose to use androgynous names, in order to leave doubts about the gender of the author, but most critics believed they were three men. Anne’s novels also show that despite being the younger sister she was the most mature and modern one. Anne exposes society, and describes what a real marriage should be: a union of two equals loving, supporting, and respecting each other. A mature love. Her sisters instead turned troubled romance into an example, which is basically teen romance. Samantha Ellis, a researcher and feminist author, takes us with her along her journey to discover the “true Anne” and this journey reveals itself to be interesting and moving. Anne and her sisters had to face many difficulties: daughters of an immigrant Irish clergymen and motherless, they lost their two older sisters for an illness, and later their brother Branwell because of his life of debauchery. Only the three of them remained, and since they were children they were creative and in love with writing, yet very different from each other. Among them, only Anne chose to create a true heroine, a woman who takes charge of her life and creates her destiny, an abused woman who leaves her husband. Today these actions are commonly accepted and even encouraged, but in 19th Century England when a woman got married she lost EVERYTHING: she literally became her husband’s property, everything she owned became his, and legally she didn’t have an identity anymore. A woman abused or abandoned by her husband therefore had no right to sue him, not even to get custody of her children, simply because she didn’t exist anymore. That’s why Helen, the heroine of The Tenant of Wildfell Hall, who runs away from her abusive husband to save herself and her son, rebuilding an independent life as an artist, was frowned upon and criticized by the critics of the time. While, in her sisters’ novels, rude and violent men were considered desirable, Anne “dares” to show the reality of things and she even makes her heroine abandon her husband. In Samantha Ellis’s biography each chapter is about a relative of character of Anne, describing a personal development and a life journey. 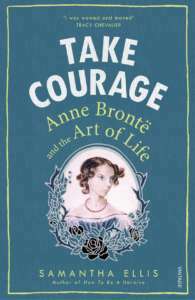 We begin with her mother (Maria, or how to know who you come from), we get to Agnes Grey (Agnes, or how to work), and we end up with Anne herself (Anne, on how to take courage). Through the chapters we get to know all the people Anne loved and what she meant to them. 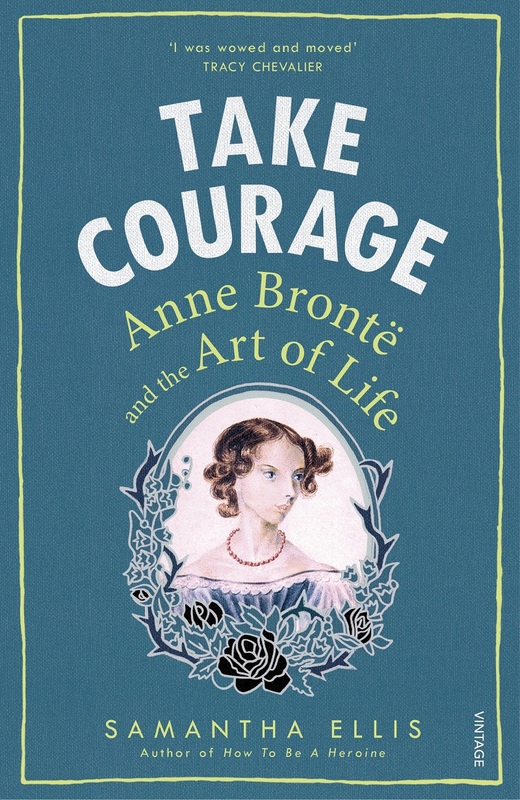 Take Courage is a work that everyone should read: women to find self-confidence and pursue their dreams, and men to better understand the soul and inner strength of a woman, which this book perfectly describes. Shortly before she died, Anne wrote: … I long to do some good in the world before I leave it. I have many schemes in my head for future practice – humble and limited indeed – but still I should not like them all to come to nothing, and myself to have lived to so little purpose. RELATED READINGS: Agnes Grey, by Anne Brontë; The Tenat of Wildfell Hall, by Anne Brontë. The latter especially can inspire women, for its heroine showing a great faith and inner strength to face adversities, and its author who was extremely brave to write about a woman leaving her husband. Sara Di Girolamo is a passionate and experienced international Literary Scout, Editor, and Publishing Consultant, who truly believes that books have the power to change and improve the world. For Inkroci, she writes, translates, and oversees translations. She offers a variety of services to publishers and authors.